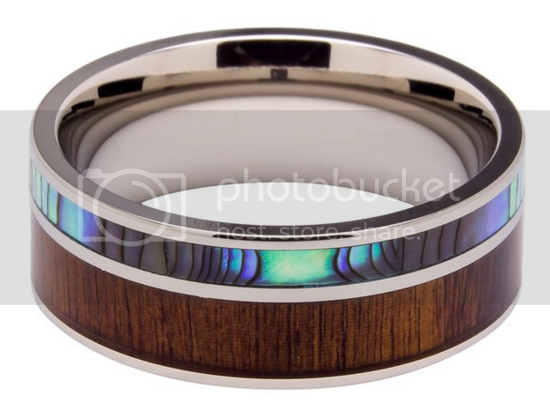 By Woodie Specs, this Titanium Ring Inlaid with 100% Natural Koa Wood and 100% Natural Abalone Shell is gorgeous! An 8mm ring, it's a great width. The sizing runs spot on and was absolutely perfect. 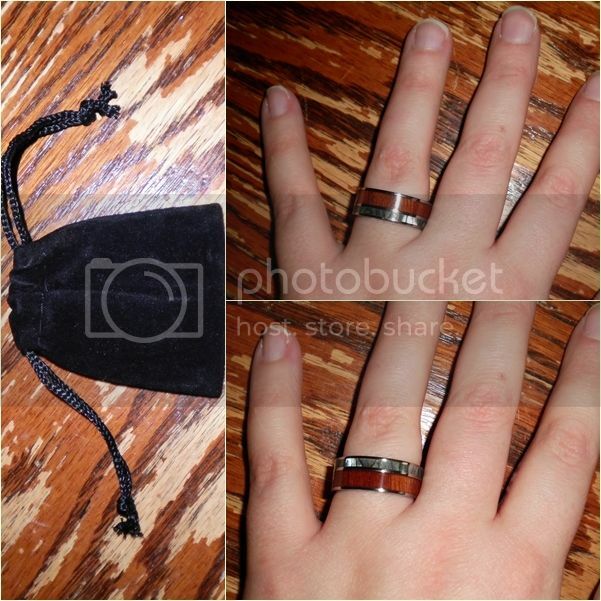 The inside of the ring is smooth and comfortable, feeling great on your fingers. I was surprised how light weight the ring is! The outside is high polished completely smooth. It's also very high quality and durable so you don't have to worry about smacking your hand into something and damaging the ring. So unique, they are all made of completely natural materials no two are alike! That makes it even more one of a kind and special. 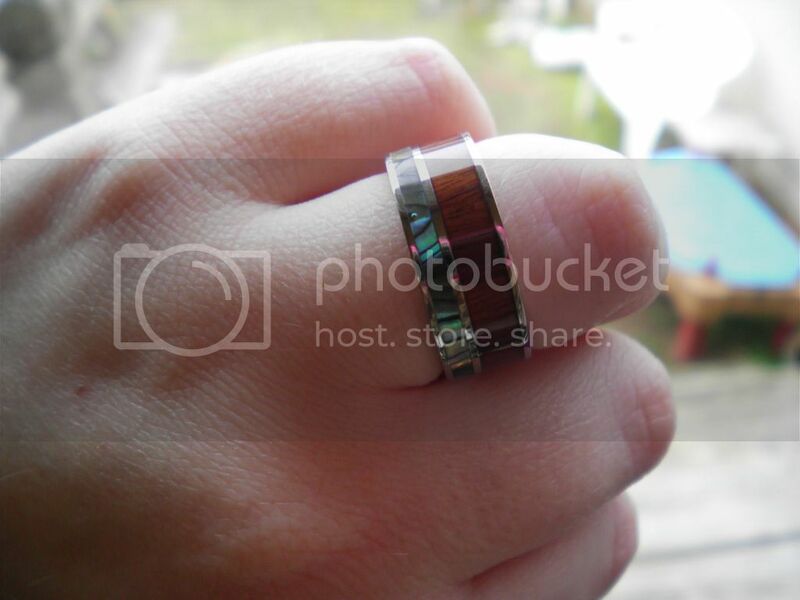 This ring would be perfect for a man or woman, engagement, wedding or fashion. It's also a great value and well worth the price! This would be an amazing gift!